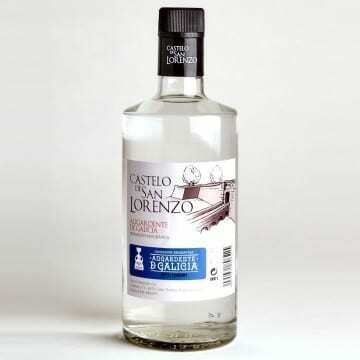 The Aguardiente de Orujo – albariño grape fermented skins – is triple distilled in copper stills. Elaborated with a selection of our best aguardientes of Albariño from th ewinery. HIgh intensity, with secondary aromas, notes of dried fruit and roses, slightly sweet.